Engineers and industrial designers that use CAD software to design plant operations often need to employ additional programs for extra elements, but a lot of the software isn’t compatible, hence the inspiration for Autodesk’s launch of the Plant Design Suite 2011. It combines AutoCAD, AutoCAD P&ID, AutoCAD Plant 3D and Autodesk Navisworks. 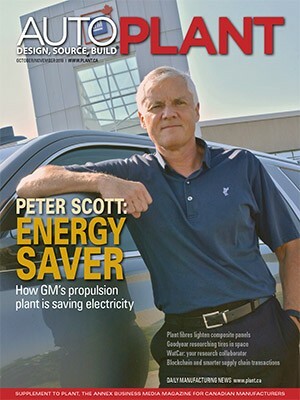 “We have products from across many different technologies and many different industries that belong together or are often used together,” says Robert Shear, director of plant industry marketing for Autodesk, the global design software developer. The plant solutions group was launched about five years ago and one year in the group released AutoCAD P&ID, a 2D schematic application that creates, modifies and manages piping and instrumentation diagrams. The San Rafael, Calif.-based company also acquired Navisworks, a powerful application for plant space modelling that offers comprehensive project reviews for analysis, simulation and communication of project info. Two years ago Plant 3D was launched as a stand-alone product, leading to the next step – bringing all of [the programs] together under one suite. AutoCAD P&ID and Plant 3D form the foundation of the suite because they are both specialized applications for plants. Unless you’re a designer or engineer, looking at a 2D CAD drawing doesn’t always provide a clear visual. You would probably get a basic idea of what you’re looking at by where stairs, posts and walls are noted, but this doesn’t help in identifying trouble spots in the design. 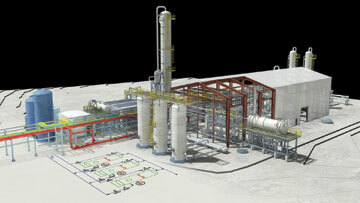 With the Plant 3D application, you get a 3D virtual tour of the design. “And the value of adding Navisworks [to the suite] is that it allows for a light weight, intuitive model viewing, reviewing and redlining,” says Shear. With this program on everyone’s desks, it creates a clearer communication of what’s happening in the design. Multidisciplinary design data combines in a single integrated project model for interference management and clash detection within the design. AutoCAD P&ID is build directly on top of AutoCAD, while AutoCAD Plant 3D shares the same code base as P&ID. And Navisworks not only supports AutoCAD DWG file format, it now has new features that enable seamless plant design-to-review workflow. 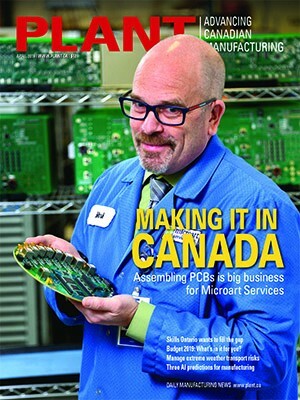 Another big benefit is one license and one install, making it easier to update and deploy across an entire company. What makes it an even sweeter deal is price. The premium suite is $9,500 and the advanced suite is $12,500. That’s a significant cost savings considering Plant 3D as a standalone application is a $9,000 product, and you get a better view of your projects. Noelle Dickey is a Toronto-based business writer and editor.